The team at Really Cheap Carpet Cleaning Brisbane decided to do something a bit different today, below is a quiz to find out how much you know about carpet cleaning! Feel free to put your answers in the comments section below! The person who guesses all the answers correctly will a eligible for a 10% discount on any service they choose!!!! What is the method of carpet cleaning where you use heated water to extract dirt from carpet? Which would you use to remove rust marks from carpet? Red colouring is almost impossible to remove from carpet. 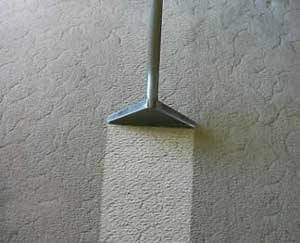 What is the item called that carpet cleaners apply to your carpet that helps keep it clean and extends its life? Is it necessary to put something underneath the legs of your furniture after a carpet cleaning? What is the device used after carpet cleaning to groom the carpet called? When cleaning furniture it is advisable to do a patch test on an unseen portion of the fabric to see if the colours will run. What are the most common types of carpet you would find in a home? https://www.reallycheapcarpetcleaning.com.au/wp-content/uploads/2017/05/15493285710_60aaee3ca2.jpeg 243 300 pippa https://www.reallycheapcarpetcleaning.com.au/wp-content/uploads/2017/05/Logo.png pippa2018-02-14 00:31:252018-02-14 00:31:25Let's Play A Game!